Wednesday Worship and Sweet Sweet Mary! First, I apologize for skipping Monday’s Favorites of the Week. But my disclaimer does say that a girl has the right to change her mind now and then…so, let’s just say that’s what I did! I might do it tomorrow or maybe wait until next week…but I can tell you this, I did pick favorites and they will be worth the waiting. Now, I am interrupting our regularly scheduled programming (for the second time this week) to bring you a special announcement: A dear friend and eternal family member of mine is having a birthday today! She is a very special person and I just wanted to take the time to let her know it! So, I wrote her a little poem (I use that term loosely) for her birthday..and I am apologizing in advance for it’s amateurish quality but it was the best I could do in fifteen minutes which is all the time that I had! So Mary, this is for you! No matter what SOME may say. To have a MOST chillaxin day! Sleep late, eat cake or watch old movies on TV! With a servants heart, steadfast. Serves food and cooks it too! That Mary will NOT do. But, on this one day, take time to rest. Take the day, do what YOU want to do. You could even try being CON-TRA-REE! Just one thing more, that I need to say. Until you are two hundred and one! Love you so much! Happy Birthday! Now we continue with our regularly scheduled Wednesday Worship! Next Post Favorites of the Week – Better Late…? Happy Birthday to your dear friend Mary! I feel a kinship with her as I used to clean our church for years! It was a job I loved but had to give up because of the knees. 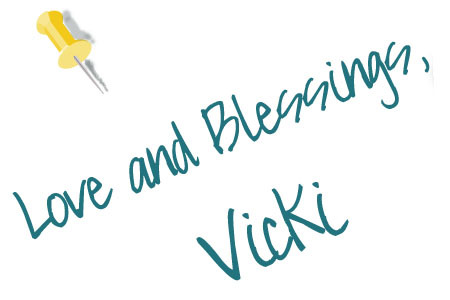 Love the video Vicki, thank you! Happy Birthday to your friend. What a wonderful blessing she must be to everyone who knows her – and how blessed she is to be appreciated by her friend. I love the worship music with the beautiful photos – and the Scripture reminder to do everything for the glory of God. What an uplifting post!